Discussion in 'iPhone and iPad Games' started by jpswensen, Dec 5, 2016. 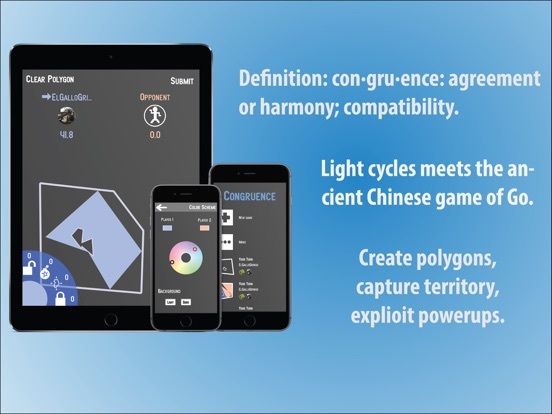 Congruence is a turn-based puzzle game of geometry and territory capture, and is my latest game from swenGames. Description - Think Tron Light Cycles meets the ancient Chinese game Go. 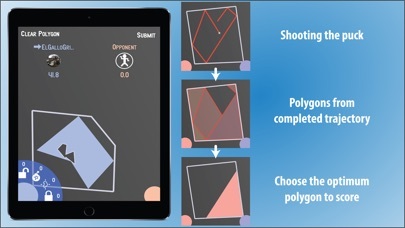 Each player takes turns shooting a puck around the territory, choosing a completed polygon to score, applying any power-ups, and finishing your turn. - Turn-based game where you try to capture the most territory. - Each turn is taken by shooting a puck which bounces around until it intersects itself. 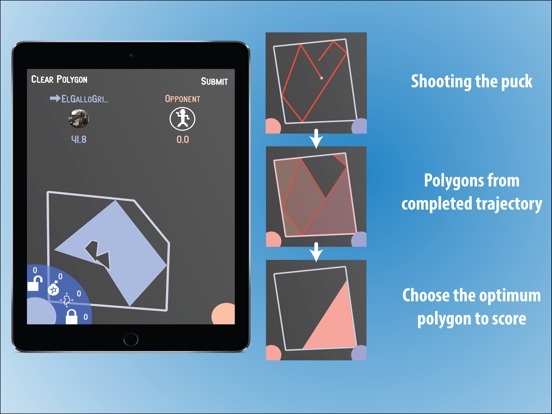 - Any of the completed polygons can be selected to score. 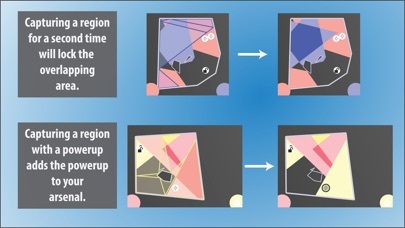 - Any double capture of a region will result in that region being "locked". - The game is over when the entire gameboard has been captured. 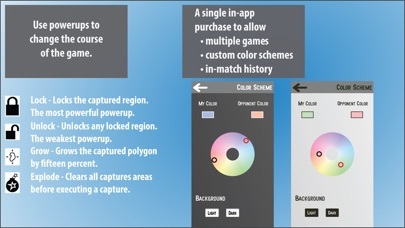 - A single IAP to allow: more that two active games, custom color schemes, in-match history. Definition: con·gru·ence: agreement or harmony; compatibility. 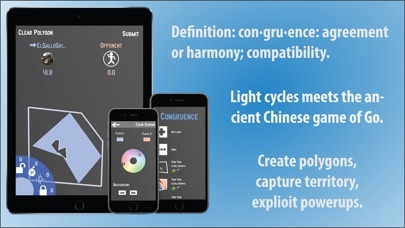 Congruence is best described as "Tron light bikes meets the ancient Chinese game of Go". It is a turn-based battle for territorial dominance. Send your puck flying through the randomly generated game board and pick a completed polygon to score. 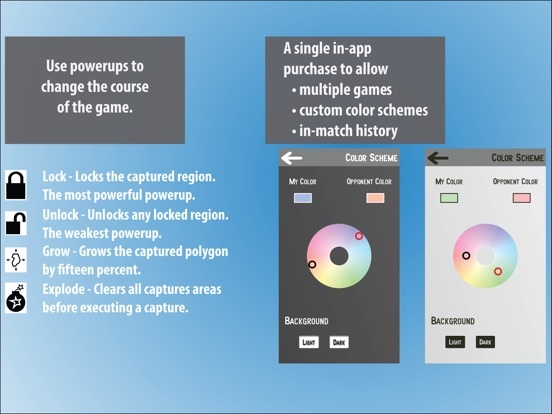 Collect and use power-ups to lock, unlock, grow, and explode your captured region. 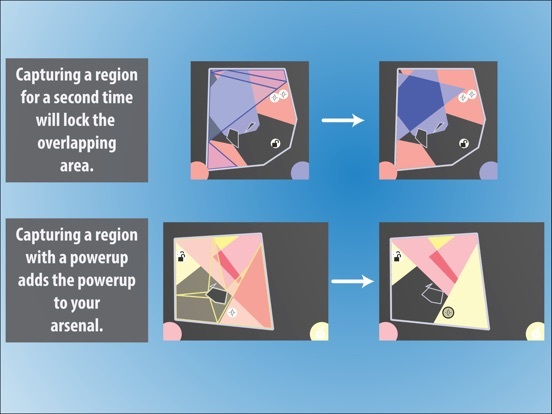 You must balance your effort to collect powerups and score the most advantageous region.